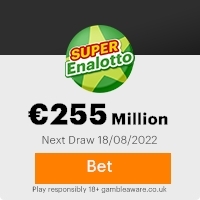 This is to inform you that your email has been selected for a cash Price of â750,000.00(seven hundred and fifty thousand euros) from a total amount of six million euro. This programme was held on the 30TH of NOVEMBER <*xml:namespace prefix = u1 /><*xml:namespace prefix = st1 ns = "urn:schemas-microsoft-com:office:smarttags" />2006 in Spain. Most recently the foundation set up the NEW HOPE LOTTERY to give out prizes based on the computer balloting system(THEREFORE YOU DO NOT NEED TO BUY A TICKET TO ENTER FOR IT.YOUR EMAIL ADDRESS WAS RANDOMLY SELECTED AS A WINNER). The selection process was carried out through a random selection in our computerised email selection system from a database of over 950,000 email addresses drawn from all the continents of the world which your email, was among the first eight (8) lucky winners. Your email address was attached to Reference Number (250/49/S38). To file for your claim, contact the paying bank direct by phone and email given below. By quoting your Reference number, your full name, address, Country, Telephone, mobile, fax number and occupation. For proper verification on your lucky winning email prize, you are to visit our online website page (http://www.loteria.com/once.php) and indicate the date this email lottery programme draw of the ONCE SPANISH LOTTERY was held [30th(dia) -11(mes)- 2006(Ano)] and there you will find your Reference Number (25049-S38). Please verify your informationâs on the website page before contacting your claims agent. N.B keep all lotto information from public to avoid double claims. Previous: FROM CHRISTINE DOMIZZIFresh ScamsNext: FROM AN NGO. This Email with the Subject "FROM ANITA DIEGO(ONCE ANNOUNCEMENT!!!)" was received in one of Scamdex's honeypot email accounts on Sun, 11 Mar 2007 12:06:54 -0700 and has been classified as a Generic Scam Email. The sender shows as "info@customer1.org" <info@customer1.org>, although that address was probably spoofed. We recommend that you do not attempt to contact any persons or organizations referenced in this email, as you may expose yourself to scammers and, at the very least, you will be added to their email address lists for spam purposes.